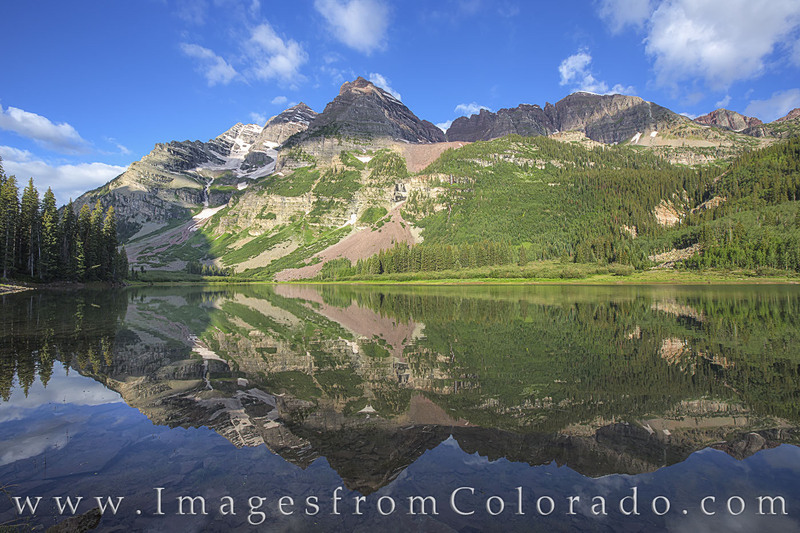 The iconic Maroon Bells show their reflections in Crater Lake in the Maroon Bells. Wilderness Area. This area is a short 2 mile walk from Maroon Lake and provides a unique view of these two 14ers. On a summer morning, I found this area perfect and pristine. Photo © copyright by Rob Greebon.